The branch manager of a sought-after makeup brand has paid a visit to her former college to demonstrate professional techniques to its current crop of beauty students. 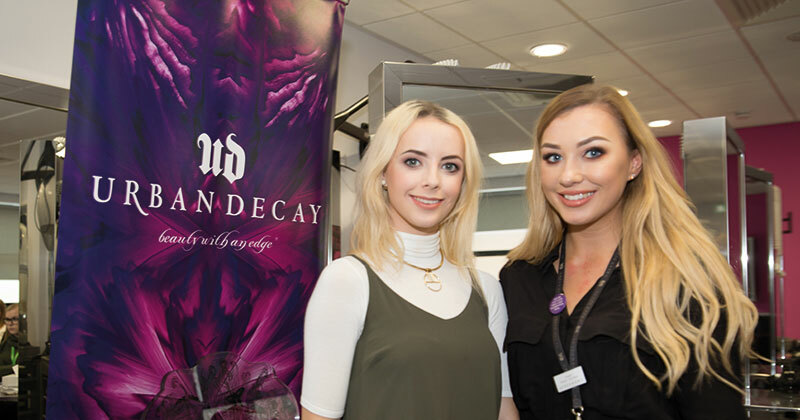 Imogen Culbert (pictured right), once a beauty therapy student at North Lindsey College, now manages the local branch of cosmetics company Urban Decay in Scunthorpe, and spoke to students about employer expectations as well as demonstrating makeup application techniques. “Make-up is my passion; I love being creative and making a difference to people,” she said. Twenty-year-old Morgan Faulkner (pictured left), who is enrolled on the level three beauty therapy course, had her makeup applied by Culbert as part of the demonstration.